Heavyweight contender Dillian ‘The Body Snatcher’ Whyte 24-1 (17) could be looking for a new opponent in December after Dereck ‘Del Boy’ Chisora 29-8 (21) priced himself out of the fight, according to promoter Eddie Hearn. 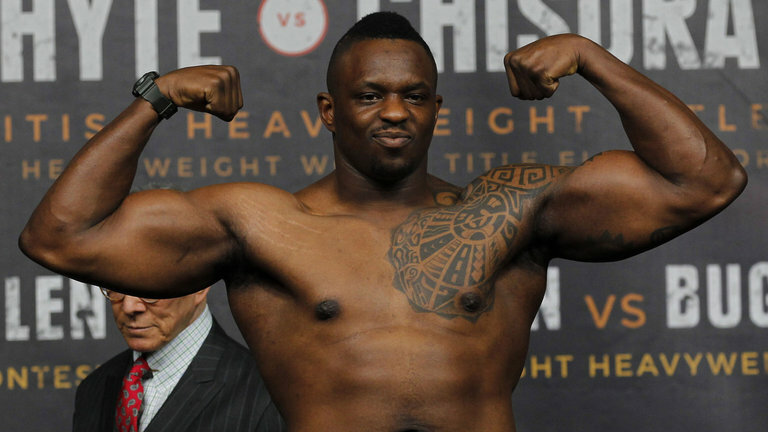 The Whyte-Chisora rematch was expected to take place at London’s O2 Arena on December 22 but the Matchroom Boxing boss has said that the 34-year-old Zimbabwe-born Londoner has been difficult to deal with and the fight is unlikely to go ahead. Hearn said he is committed to Brixton’s Whyte fighting on that date, but that they now have another name in the frame. “It’s happening, but I don’t think it’s Del Boy. We’re out of the deal,” said Hearn in an interview with iFL TV about the fight. The news comes hot on the heels of once-beaten American-based Cuban Luis ‘King Kong’ Ortiz 29-1 (25) publically calling for a fight between himself and Whyte. The ageless wonder from Miami, Florida went down in 10 to reigning WBC heavyweight titleholder Deontay Wilder 40-0 (39) at Brooklyn’s Barclays Center in March. Ortiz, who was dropped in the fifth, was trailing by a single point on all three judges’ scorecard at the time of the stoppage. Despite the skillful veteran throwing his hat into the ring, it seems unlikely we will see Ortiz paired up with Whyte in December. Hearn insists he still wants to give Chisora the opportunity to reverse his 2016 split decision loss to Whyte. “We still want the Chisora fight. It doesn’t look like [the Whyte vs. Chisora 2 fight will happen],” continued Hearn. “We’re so far out. We’ve gone backwards. There was a number for Dereck, and we were close, and now he’s asking for more than what he was asking for before.